For the last six weeks, our family has been exploring the Holy Land, where the events of the Bible actually happened, using a unique Homeschool Bible Curriculum. In addition to reading the stories straight from Scripture, we take virtual field trips to Israel with Dave Stotts, our tour guide on a journey through the Gospels. He brings to life the historical context of each event as it unfolds. Our entire family has enjoyed reviewing the Bible History course at Drive Thru History Adventures. My twin twelve-year-olds were already studying biblical history this year as part of their Social Studies curriculum. When presented with the opportunity to review Drive Thru History Adventures, I was excited to give my daughters a break from their routine of reading and filling in the blanks. The timing could not have been better—the Bible History course picked up right where they were in their curriculum—the beginning of the Gospels. I did all the initial setup straight from my phone’s web browser and discovered that all the material is easy to use on any mobile device. Registration was easy. After setting up my family account, I was able to immediately access the lessons on my computer as well. In addition to being able to take the Bible History (Gospels), Ancient History, and American History classes, we can watch all the episodes on Adventures TV. This includes all the full length videos from each of the classes as well as some shorter videos on interesting topics and holidays. We enjoyed watching seasonal clips about Groundhog Day, Valentine’s Day, and Presidents’ Day. Dave regularly adds short, entertaining video updates as well. We encountered some difficulties streaming episodes from the main course page to our TV using Google Chromecast. Streaming it through Adventures TV eliminated all issues. Bible History Adventures starts with Matthew 1—the genealogy of Jesus. My mind tends to wander whenever someone reads a genealogy aloud. When Dave started reading through Matthew’s genealogy of Jesus in that first episode, I was concerned my girls would zone out. I should not have worried. Dave can even make even genealogies interesting. Instead of reading every single verse in the passage, he reads only select portions. As he reads, the screen shows an image of each person who is named. When he skips over a few verses, darkened images of individuals he omits glide by, visually showing which generations were left out. I love the way he communicates essential information but avoids boring us with every detail; the images themselves add visual interest to a segment which might otherwise turn students off to the entire series. Dave breaks up the intense history segments with lighthearted and entertaining commentary about his experiences—such as details about the old Land Rover in which he explores Israel. In one episode, he even uses the heat from the engine to cook a Texas “Car-B-Q” as he drives! The twins watched the first video over breakfast on my laptop screen. By lunchtime, my husband was curious about Drive Thru History Adventures and wanted to see an episode for himself. I played it on the TV using our Chromecast so everyone could enjoy it. All through the first video, my husband commented on the high quality of the content. The twins, though they had just seen it a couple hours earlier, had their eyes glued to the screen yet again! Even my thirteen year old daughter, who often frowns on non-traditional modes of learning, responded positively. The videos complement her high school world history course, which also incorporates biblical history. My husband’s simple statement after that first video reflected my own thoughts: “That was good!” He looks forward to days when he can join us for lunch since we all learn from Drive Thru History Adventures. The videos represent only a small portion of all the material included in Drive Thru History Adventures. The additional content on the website reviews the material from a different perspective and adds in-depth information. While reading the “Side Roads” and articles for each Episode, we have learned about Roman coins and roads, explored the cultural context of the Gospels, read about possible locations for Gospel events, and more. I was not sure how my daughters would react to the articles, which are recommended for high school students. They enjoy them and learn so much from reading them together. The articles are well-written and interesting, helping my pre-teens more deeply understand the Gospels. Some articles include related video clips, which they really enjoy. Reading the material together provides a great opportunity to expand their vocabulary. We often pause to define words they are unfamiliar with, like skeptic and egalitarian. Some of the articles are actually Expert Papers which go into such depth that I am not sure how much my twelve year old daughters can glean from it. Several times, I have paused while reading an article I fear may be over their heads. “Do you want me to keep reading?” I ask. Their response is inevitably an enthusiastic, “Yes!” When discussing the episode later, they always manage to bring up something they gleaned from the articles. If my high school senior were completing the entire course for credit, I would probably ask him to read the articles independently and offer some kind of summary. For my middle school girls, reading them aloud is ideal. Each video episode has five corresponding discussion questions, which can be printed out. The twins add these worksheets to their notebooks and jot down some keywords or notes to help jog their memory when we talk about them together. They find the wording of some questions unclear, but we always have a good discussion about the answers. I use the answer guide from the website to help direct our discussion. In addition to discussing the questions, the girls enjoy looking at the various artifacts, statues, and famous artwork pictured on the web page for each episode. If your kids are as excited about Drive Thru History Adventures as my twins are, they will want to complete a lesson every day! Our entire family watches the 30-minute video episode over lunch, and I print out the worksheets for my twins to complete. On the next morning, I read the articles to them over breakfast. Then they complete their Bible reading and jot down some notes in response to the discussion questions. Before lunch, we take a few minutes to answer the questions aloud together. Even though the questions are included in the middle of the lesson, discussing them at the end helps us incorporate the information from the articles into our discussion. By lunchtime, they can hardly wait to see the next episode. We probably take about 90 minutes to complete each lesson. Scheduling a lesson each day suits us, but the curriculum recommends completing one episode each week. 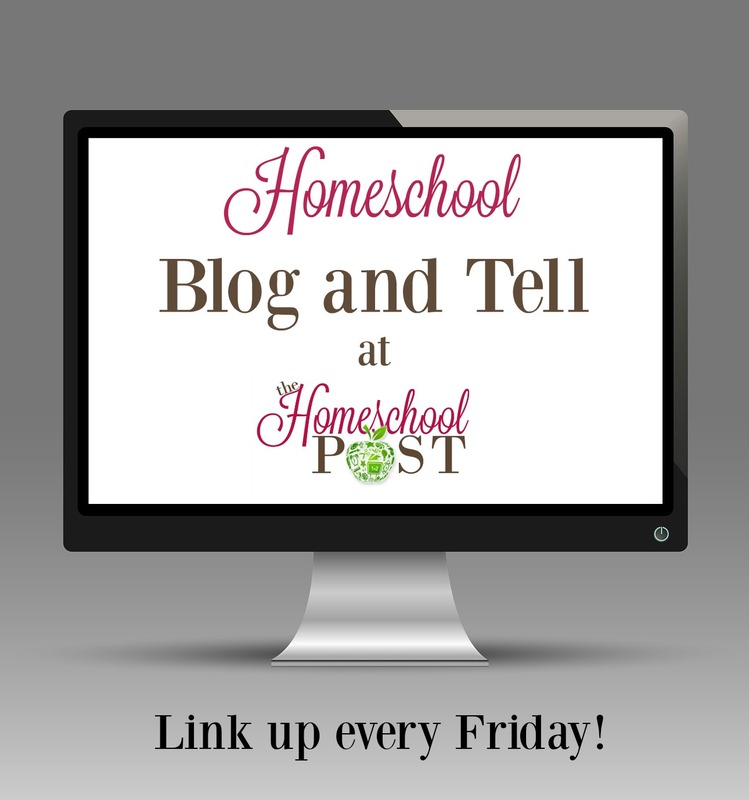 The curriculum is flexible and can be adapted to whatever schedule works for each homeschool family. When I asked my twins what they enjoyed most about the Bible History course from Drive Thru History Adventures, their answers were surprisingly different. One enjoys the videos since “they teach a lot and have funny content.” The other appreciates the wealth of information she is gleaning from the articles. Drive Thru History Adventures is far more interesting, informative, thorough and engaging than the curriculum they were using before. We are looking forward to the Acts to Revelation Bible History course, which will be released soon. In the meantime, we have begun to explore the Ancient History course. Each of these video episodes is 45 minutes long, so we are taking two days to watch each one. In lieu of articles about the video topics, the course includes literary works and primary source material that corresponds to each episode. After learning about Julius Caesar, for example, students may read an excerpt from Shakespeare’s Julius Caesar. These readings are more challenging for my pre-teens to follow; they prefer the articles included in the Bible History course. I plan to skip most of the suggested Ancient History readings for now. This May, my husband and I have the opportunity to fly to Israel and see firsthand some of the sites highlighted in Drive Thru History Adventures. A nine-day tour, including airfare, costs close to $2400 per person. If the cost were not so high, we might have considered taking the kids along. Exploring Bible History with the kids has fueled our excitement about our upcoming trip, though we will be able to take in only a fraction of the sites that Dave Stotts highlights in his Bible History Adventures course. For less than $125, the entire family has a full year to explore Bible History (the Holy Land), Ancient History (Greece, Rome, and Turkey), as well as American History without the havoc that jet lag, cranky kids, picky eaters, and travel sickness might wreak on the ultimate homeschool family vacation. Currently, Drive Thru History Adventures has a special offer which includes a free Gospels DVD plus a discount of $2.50 with the Discount Code “Gospels”. Readers of the Old Schoolhouse Magazine can find a 20% discount code in the latest digital issue.